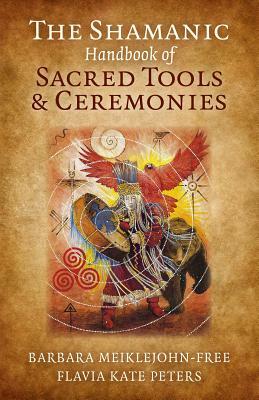 The Shamanic Handbook of Sacred Tools and Ceremonies is the perfect companion book for all budding and well-practiced shamans, wise men and women who partake in sacred ceremonial, ritual and healing work. It also serves as an excellent introduction into the practical side of earth-centred traditions. As you begin your path as a Shaman, of the 'One who knows', your journey will be one of remembrance as you connect with the oldest and most holistic traditions of the ancestors. Barbara Meiklejohn-Free is the UK's best loved and hardest working 'Wisdom Keeper' - teacher, advocate and protector of the great Earth-centred traditions. Best-selling author Barbara also leads people on guided site visits across the globe to meet the native people, to gain an understanding first-hand of the way they live according to the teachings of Mother Earth. Flavia Kate Peters is a best-selling author, speaker, therapist, singer and a natural mystic who connects with the ancient deities of the Celtic British Isles. Known as 'The Faery Shaman', Flavia Kate works very closely with the nature spirits and faeries. She offers readings and guidance as well as giving talks and workshops at events and shows throughout the year.